The FELIX 3L is the latest addition to the FELIX 3 series. The reliability and accuracy of the current FELIX 3 series but with an improved framework and design to print large objects. Due to the unique and open design, the big brother of the FELIX 3 truly makes a statement in every office or workshop. The standard FELIX 3 already has a large build volume but sometimes you just need more. 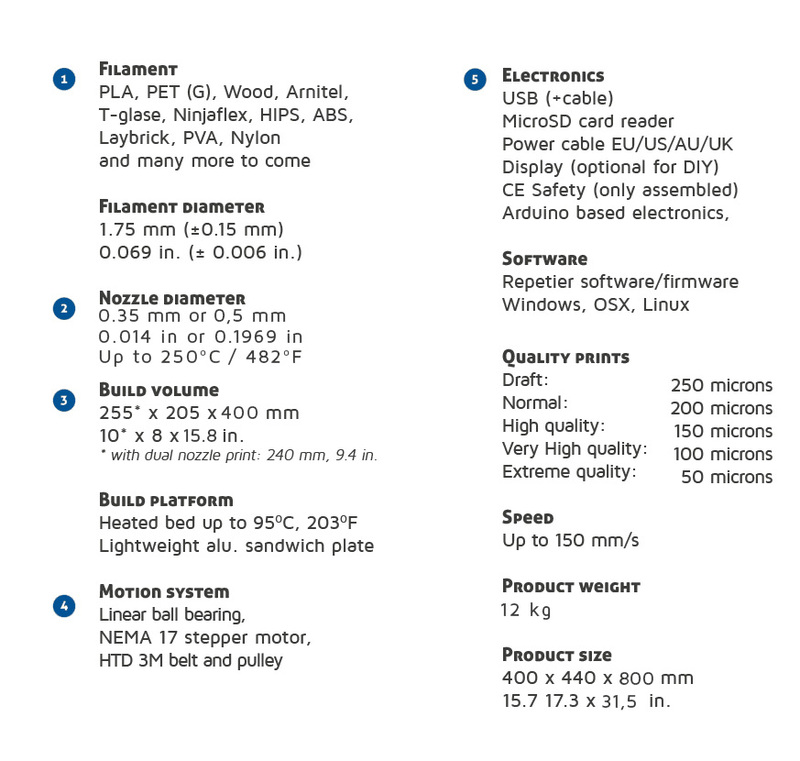 Therefore the FELIX 3L 3D printer is introduced to be able to build objects to 40 cm in height. The increased build dimensions bring the total volume of the FELIX 3L to an impressive 20.9 liter..
Just like the standard FELIX 3, the FELIX 3L is designed from an upgradable point of view. This means that future upgrades will be available for the 3L and can be installed by the user or by FELIXprinters through the FELIX Upgrade Service. 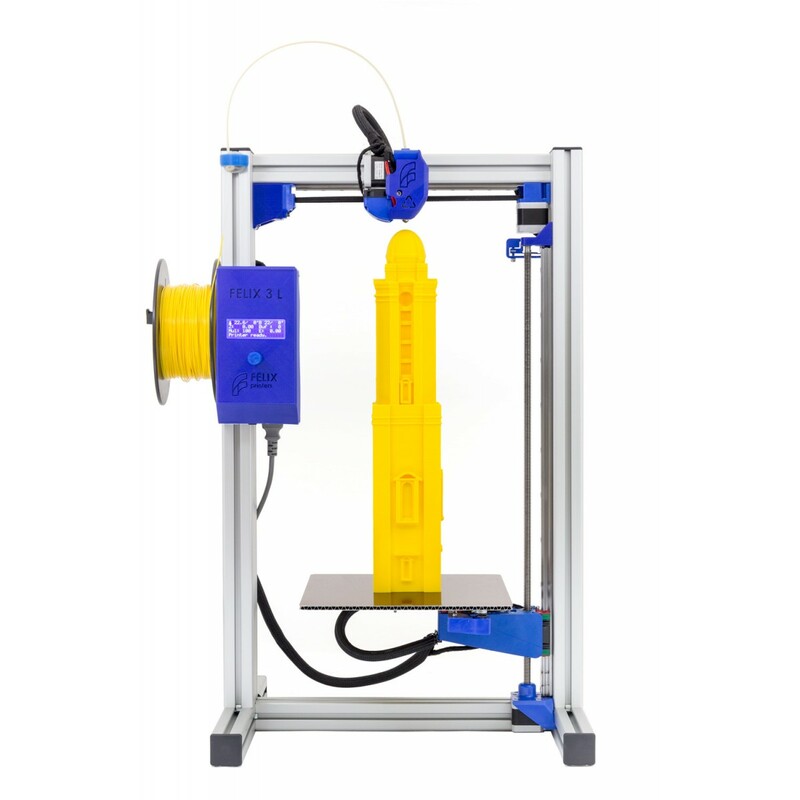 The FELIX 3L can be ordered through the FELIX webshop and is currently available as a ready to go assembled 3D printer. The desired version, Single or Dual, can be selected below. 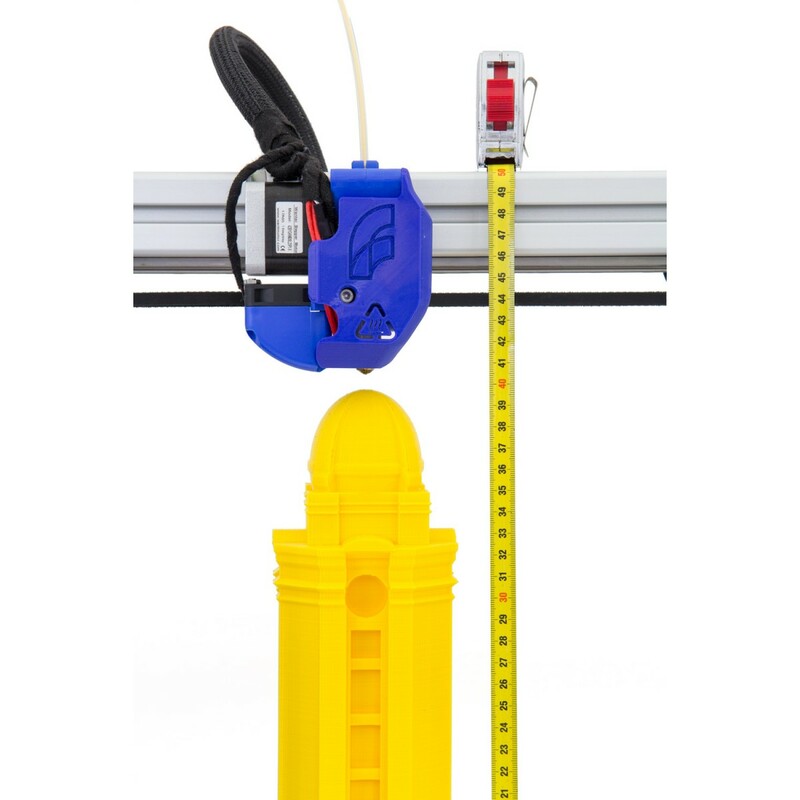 At FELIXprinters we noticed there is a growing interest in printing tall objects. It was a great motivation and challenge for us to modify the existing FELIX 3 in a way to print objects up to 400 mm in height. High precision hardware and advanced software tweaking made it possible to print large objects with great detail.